JOHN H. KEISER, JR., is a graduate of Kutztown Area High School, but grew up in Topton, PA. 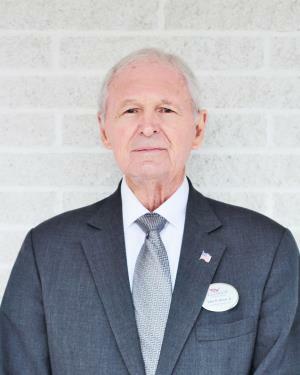 He was a Vice President of Atlas Minerals and Chemicals, Inc., Mertztown, working there for 49 years, until his retirement in 2003. John is a member of Saint Paul’s United Church of Christ, Kutztown, where he serves as President of the church Consistory, and is also a member of the Finance and Property committees. John is the Executive Director of the Kutztown Area High School Education Foundation, Kutztown Lions Club, Berks County Hall of Fame, Cougar Tale, and was a former member of Sales and Marketing Club, National Association of Corrosion Engineers. He also was a former board member of Saucony Cross Apartments, Kutztown, and the Zoning Hearing Board for the Borough of Kutztown and Maxatawny Township. John resides in Maxatawny Township with his wife, Marcia F. (DeTurk) Keiser, and has two daughters, Julie A. (Keiser) Esposito and Sally L. (Keiser) French; four grandchildren, Brad, Ashley, Tyler and Cristen; and four great-grandchildren, Wesley, Margot, Cristian and Collyns. John enjoys playing tennis and keeping active. He has been a member of our funeral home staff since 2015.